Hands up if you’ve ever scratched your head and said, “What on earth are buyer personas and how will they help my business?” I’m going to guess there are a lot of hands raised. If you are familiar with the world of marketing, chances are you’ve stumbled across the term buyer personas. Maybe you know what they are. Maybe you’ve already created one or two. Yet do you understand how buyer personas will help your business? It’s easy to jump on a marketing trend just because everyone else is doing it and is touting how amazing it’s been for their business. However, there’s a difference between doing what everyone else is doing and knowing why you’re doing it and how it will benefit your business. If you can tap into the ‘why’, you’re much more likely to be successful in your marketing endeavours. That’s why this article is dedicated to everyone and anyone who’s heard the term ‘buyer personas’ and is curious about how these fictitious characters will take your business to new heights. What Are Buyer Personas and How Do You Use Them? The basis of any business is to provide a product or service that will help consumers and generate revenue. Almost every decision you make when it comes to your business – what you sell, your price point, your team – is made with the purpose of generating revenue and profits for your company. To make those decisions easier and more effective, many organisations turn to creating buyer personas to help them market and grow their business. In short, buyer personas are detailed fictionalised representations of your ideal customer. Buyer personas help you deeply understand who it is your business is targeting. Marketing success comes from truly and deeply understanding your customers. If you can successfully tap into their needs, wants, goals, challenges and so on, your marketing will be much more refined, targeted and effective. Being able to think like your ideal customer is vital when it comes to effectively communicating with them. 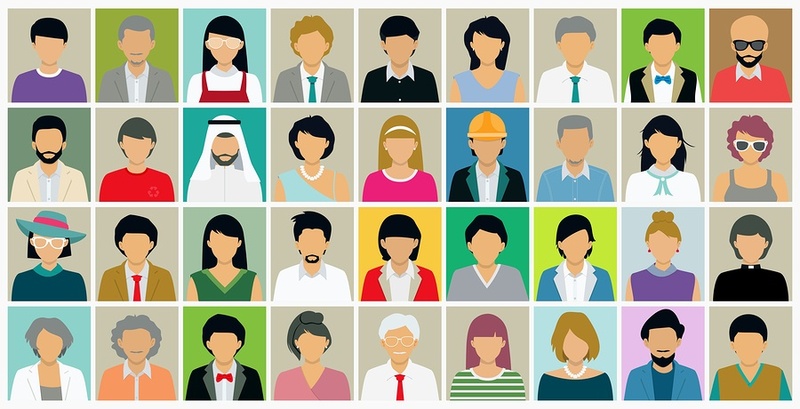 There are plenty of resources out there for creating buyer personas. However, here are a few of my best tips to remember when creating your own personas. Don’t base your persona on just one real customer. The best buyer personas are developed with a minimum of 5 conversations with current or past customers. Buyer personas are not guesswork. Don’t make assumptions about your ideal buyers, get accurate information from conversations, data or surveys. Avoid being generic. Your buyer persona shouldn’t simply be “women aged between 20-35 years old”. They need to tell you more about why they need your product or services and how they buy. What are their painpoints, challenges, goals, needs, how do they buy, what do they search for online, who do they trust, what information is important to them, what experience are they looking etc. Understanding you buyers will take the mystery and confusion out of how to effectively market your brand. This insight is invaluable when it comes to marketing success as your marketing will resonate with your buyers, attracting them to your organisation and provide them with the information they are looking for throughout the buying process. The more you understand your buyers and how to meet their individual needs, the happier they’ll be. And what do happy people do? They refer their family and friends. They continue to come back to your business and become your biggest advocates. There’s nothing better for your business or bottom line than a glowing recommendation. The more customers the merrier, right? Well, not necessarily. While most businesses are focused on getting as many customers as possible, sometimes it’s more important to focus on finding the right customers. Your business will benefit much more from attracting customers that have a high lifetime value – people who are likely to return. Buyer personas will help your business uncover the right customers that’ll be most satisfied with what you have to offer, and return to your business time and time again. Do Small Businesses Need Buyer Personas?